Newsletter – New Battersea Branch & More! Comments Off on Newsletter – New Battersea Branch & More! Taxfile is pleased to welcome the opening of the new branch in Battersea, London SW8. This joins its sister branches at Dulwich, Tulse Hill and the West Country — what a great family! If you work in the construction industry as sub-contractor or limited company, we may be able to help. Let us see if you are due a tax refund or help you register for CIS if you are not already set up. We operative a refer-a-friend discount; please ask us for details and save money! We pride ourselves in being a multi-lingual company. Our staff speak many languages including English, Arabic, Dari, Dutch, French, Hungarian, Pashto, Polish and Russian. We can help you avoid late payment filing fees. Since May this year, HMRC are adding £10 per day to any fine for late filing! So, don’t delay – get in touch and we’ll help to minimise your fine and to get your tax affairs in order. All of our clients get free Tax Enquiry Fee Protection Insurance. Please ask us for more details (terms apply). View the full newsletter here. Studio 4, Cloisters House, Cloisters Business Centre, Battersea Park Road, London SW8 4BG. Opening hours: Mon-Thurs 11am-7pm (& Fridays 11am-3pm by appointment). 25 Thurlow Park Road, Tulse Hill, London SE21 8JP. (& Saturdays 10am-1pm by appointment). 11a Turney Road, London SE21 8LX. Opening hours: Mon-Fri 10am-5pm by appointment. Season’s greetings to all of our customers and readers. Our thanks to you for your custom and for being a reader of this blog. We really appreciate it! If you would like an introductory consultation for any tax matter whatsoever, you can book an appointment online here or simply call 0208 761 2268 (07766 495 871 after office hours) to arrange one with our tax professionals. 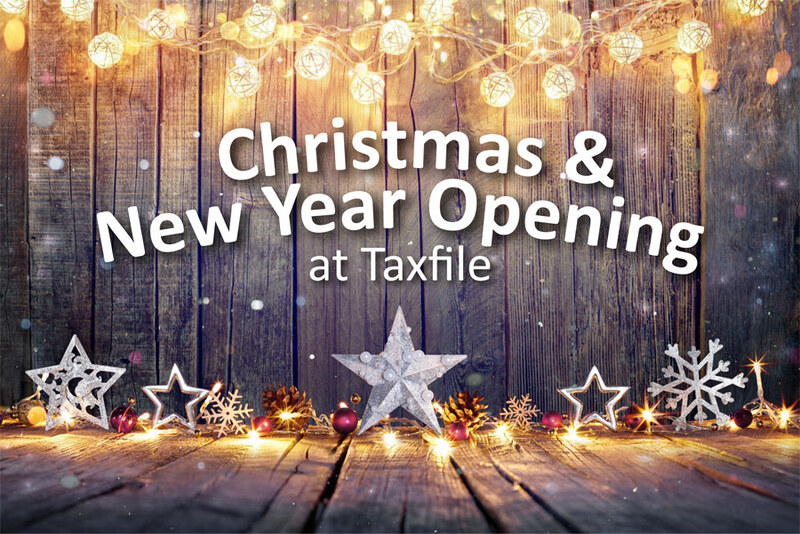 The Taxfile Team wishes you a very happy Christmas if you celebrate it (a very happy ‘Festive season’ if not) and our very best wishes to you for 2018 when it arrives. Thank you too for your custom during 2017 — we really appreciate it. Have you made a Capital Gain? Assets Overseas? Non-Resident Landlord? Read This! C.I.S. Subbies: Claim your Tax Refund for Christmas! Tax Affairs in a Mess? You can view the newsletter online here or download it in Acrobat PDF format here. If you’d like to print it out, it’s best to print out from the Acrobat PDF version. If you’d like to be automatically sent a copy of future e-news from Taxfile, you can sign up here. Just enter a few details and we’ll add you to our distribution list free of charge. We only send a few e-communications each year and you can unsubscribe at any time by clicking a link in the footer of each email you’ll receive. We will not sell or share your details with anyone. If you would like to discuss any tax or accounting issues, simply book an appointment with our Dulwich office or call 0208 761 2268 and we’ll be happy to assist you. Taxfile is delighted to be a Finalist in the ‘Independent Firm of the Year, Greater London‘ category of the sixth annual British Accountancy Awards 2016. It’s a great honour and Taxfile’s Founder, Guy Bridger, would like to pass on his congratulations to all Taxfile staff, particularly Julie, Ewelina, Faiz and Ali, as this is recognition for all their hard work. Taking place on the 29th of November at The Brewery, London, the event promises to be a night to remember with a three-course dinner, guest host and the Awards ceremony itself. More information about the awards, and those shortlisted, is available here. Taxfile’s Dulwich office specialises in accountancy-related work for limited companies and SMEs. Part of that includes year end accounts as well as handling of corporation tax, income tax and payroll, NI, VAT and company formations. Taxfile also recently launched its service to help companies with their Auto Enrolment duties in relation to the new Workplace Pensions. So, really, Taxfile can help with anything from simple bookkeeping and tax returns to complex tax problems. Call 0208 761 2268 for further information, book a 20 minute appointment online here or send us an emailed message here and we’ll be happy to help. The Dulwich office of Taxfile is at 11a Turney Road, London SE21 8LX. Check out our latest newsletter for our limited company clients. This was recently emailed to our client database, however if you missed it, here’s another chance to find out more. 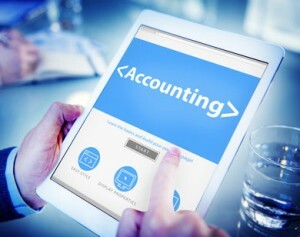 Which Cloud-Based Accounting Package is for You? Comments Off on Which Cloud-Based Accounting Package is for You? Maybe your small business is still doing its accounts via paper-based records or perhaps you have an accounts package that is simply not measuring up. Either way Taxfile can help point you in the right direction with a new, all-singing, all-dancing modern package that is fit for the 21st Century. They can give you advice as to which software will best suit your needs and circumstances and help to get you up and running in no time at all. The ability for us to collaborate with you, as your accountant, bookkeeper or accounts assistant, behind the scenes, making the handling of HMRC, VAT, National Insurance and all manner of taxes a breeze. And the list of features goes on! Call Ryan at Taxfile and he can run you through all the options, features and benefits of each application so you can make an informed choice as to which is best for you. As an added bonus, for every limited company signing up to FreeAgent, Xero or Sage One through us, Taxfile will donate £25 to a charity of the customer’s choice. Call Taxfile’s Dulwich office on 0208 761 2268 or contact them here (ask for Ryan). The Dulwich office of Taxfile is at 11a Turney Road, London, SE21 8LX. Calling all South London small businesses – claim your FREE* Sage accounts & bookkeeping package from Dulwich accountants Taxfile. When you’re an active client of Taxfile, whether new or existing, we can supply you with your own Sage accounting package, free of charge*, and we’ll even help set it up for you! There are various packages to choose from and we’re happy to advise which is best for you and your small business. They’re great for anything from simple bookkeeping to full accounts handling, allowing easy record-keeping, bank reconciliation, the handling of VAT (including VAT returns), RTI submissions, automatic tax and National Insurance calculations and filing, and even Auto Enrolment communications for your employees. There is also a low-cost Payroll bolt-on option for those who would like to control their own payroll. Our ‘Sage One Payroll’ package is a low-cost bolt-on for the above, suitable for businesses who want to handle their own payroll (fully, or assisted by Taxfile) and who have 15 employees or less. It helps small businesses sort out payroll including payslips and tax calculations as well as helping them to stay within the law, keep up to date on financial regulations and even handle RTI submissions and employees’ Workplace Pension Auto-Enrolment communications. Nearly all small businesses with employees must implement such communications to inform employees of their rights in respect to Workplace Pension contributions, so such automation is a great feature and an immense time-saver. Read Taxfile’s Autumn Newsletter & save money! Comments Off on Read Taxfile’s Autumn Newsletter & save money! Left-click this link to open the Acrobat PDF in a new browser window. Most browsers will be able to display the PDF but if yours does not, right-click the link instead, then choose the option to save the file to your hard drive before manually opening it in Acrobat. At Taxfile we know that book work isn’t your top priority so we’re currently implementing a new system that will save you time on your book work (without costing you a penny extra) and also allow us to provide a better service to you. 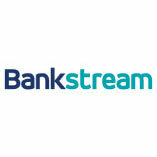 Bankstream is a new service that, with your permission, enables us to securely collect electronic copies of your bank statements directly from your bank so as to make the analysis of your expenses and income much easier and faster. You continue to receive your statements as normal but no longer need to provide us with copies of them. Bankstream does not give us access to your banking account so doesn’t give us the ability to create, amend or affect transactions on your account (no passwords or PINs will ever be requested from you — it’s completely safe). It simply gives us an additional electronic copy of your historical bank transactions so as to make accounting analysis easier and faster. The Bankstream service itself is FREE to Taxfile customers (we absorb the cost). If you are interested in spending less time on your book work, ask us for a Bankstream Authority Form. Call 0208 761 2268 or find out more here. Save Money — Beat the December Price Increase! Comments Off on Save Money — Beat the December Price Increase! If you are the director of a Limited company, in a partnership or are self-employed, your personal tax return is due on 31 January 2015. You are strongly advised to supply your records, bank statements, receipts etc. to our Dulwich office in South London as soon as possible, please, so that you are not caught in a last-minute rush — Taxfile has several hundred tax returns to complete, so the earlier the better. Some limited company ‘year end’ accounts will also fall due on 31 December 2014 or 31 January 2015. For those businesses, it’s exactly the same message — time is of the essence. 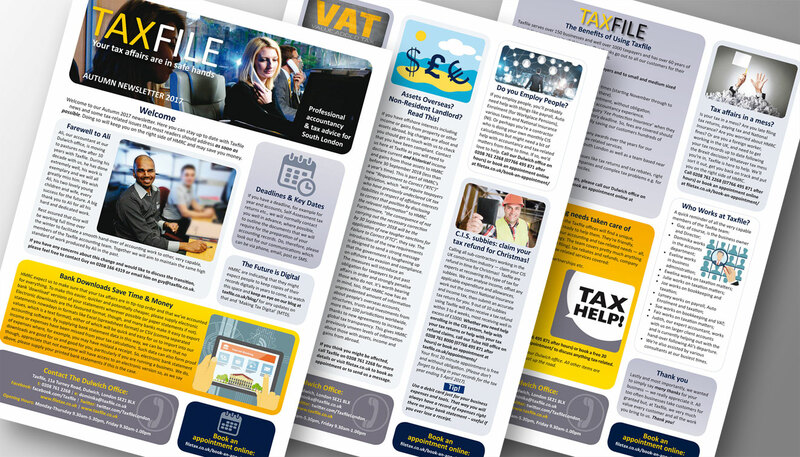 We have just completed our Autumn newsletter for customers and anyone else interested in our services and potential ways to save money on accounting, bookkeeping and tax for small and medium-sized businesses. Included in this edition are some time-sensitive articles including ways to avoid a small price increase if you act fast, ways to save time on your bookwork by using something called ‘Bankstream’ which is supplied free to Taxfile customers, how to get an early bird fee reduction if you submit your records to us before the end of December, a reminder about the free ‘tax enquiry fee protection’ service available to our customers (a couple of small provisos apply) and lastly a ‘mind map’ diagram showing interesting and useful information about our lovely multi-lingual staff. Download the newsletter here (Acrobat PDF file: right-click to save the PDF to your hard drive then open it in Acrobat Reader. Alternatively left-click the link to view the newsletter directly in most browsers). Click here to book a 20 minute appointment for help with tax issues. Please note: in extremely busy times such as January, a deposit may be required before commencement of the appointment.